Just when you thought you knew it all, something big happens and then ends before anyone ever knew it happened. And just like that, the Alliance of American Football league (AAF) happened and then disintegrated into thin air. And all this happened before its first season could even conclude. However, there was still quite a few people who were in tune with the games, especially sports fanatics. Now that the season is prematurely over, FanDuel will honor its customers by paying off all future AAF bets. According to the AAF’s game schedule, the first match took place on February 9th and expected to finish April 27th. Unfortunately, on April 2nd AAF chairman Tom Dundon suspended all future football operations. In fact, it happened so fast that players found out about it on the internet before their coaches informed them. At that point, all players were evicted from their hotel rooms and required to pay before leaving. On top of that, they had to pay their own fare home. But here comes the good news. All AAF players are now eligible to leave their contracts and sign with an NFL team. 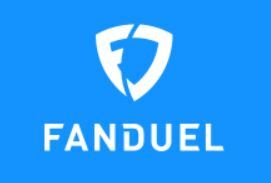 Plus, FanDuel made its customers happy by declaring the Orlando Apollos champions and paying out all future bets on the game. Also, the company decided to payout all future wagers on the other seven AAF teams as winners.